Ted Ligety pulls out a ninth-place finish at the World Championships super-G at Beaver Creek (Getty Images-AFP/Fabrice Coffrini). BEAVER CREEK, Colo. — Many of the racers at the Alpine World Ski Championships Thursday said all the new snow on Beaver Creek’s Birds of Prey super-G course was “super-soft” under cloudless 50-degree skies – unless you crashed on it going 60 mph like Bode Miller. Miller’s comeback from back surgery this fall ended on a section of the course called the Abyss when he hit a gate, spun around and rag-dolled down the mountain. The six-time Olympic medalist was left with a nasty gash on his calf, a bruised body and questions marks about competing in Saturday’s downhill – an event he’s won here three times. 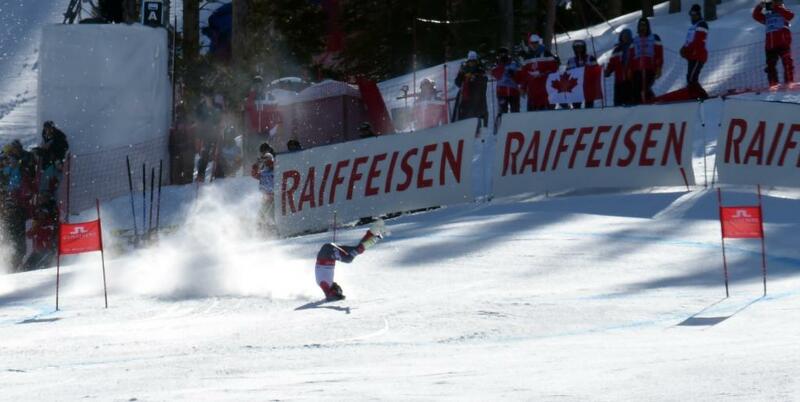 Bode Miller crashed in Thursday’s super-G. He’s being evaluated by U.S. Ski Team medical staff (Getty Images-AFP/Don Emmert). Austria’s Hannes Reichelt wound up winning the event, followed by a career-best second from Canadian Dustin Cook and France’s Adrien Theaux in third. Travis Ganong, a rising star from California who landed his first career World Cup win this season, skied out earlier in the race and tried to warn his fellow Americans about the soft snow, urging less abrupt turns. Miller must have listened. He was in the lead and charging hard for the finish when he crashed. Both Ted Ligety, who had the top American finish in ninth, and Miller are seeking an American men’s record sixth World Championship medal. 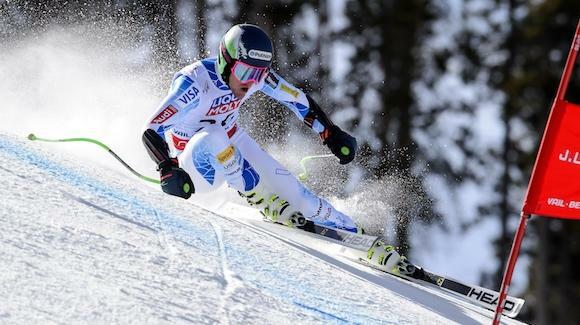 Medical staff are evaluating Miller to see if he’ll have a chance at it in Saturday’s downhill, which starts at 11 a.m. and is free and open to the public. “He said his whole body really hurt and he said he felt like he got hit by a truck,” Ganong said of Miller. “He has this huge laceration on his calf, and he told me he needs like a hundred stitches probably. It’s a big cut. Dominant speed-skiing Norwegian Kjetil Jansrud also took a trip to the Vail Valley Medical Center after banging his shoulder hard into a gate while still finishing fourth. He too is being evaluated in hopes he can race in Saturday’s downhill. His countryman, eight-time World Championship medalist Aksel Lund Svindal, coming back from an Achilles injury earlier this season, wowed the crowd with a sixth-place result. Svindal has won at Beaver Creek many times, but also had terrible luck in a training crash here that sent him to the Vail hospital in 2007. Canada’s Cook has never won a regular-season World Cup but now can boast of a World Championship silver medal. Ligety, a two-time Olympic gold medalist, said soft conditions don’t favor a lighter, more technical racer like him. The Americans are all hoping for a firmer, icier course on Saturday. Rearick said Miller was turning in one of trademark daring runs when it all went so wrong. “Bode was skiing outstanding.” Rearick said. “He was going for it, absolutely sending it from top to bottom. He took risks and was putting down the run that inspires America and the world. Lindsey Vonn, already an American record six-time World Championship medalist, will look to get her seventh Friday in the women’s downhill. She’s also hoping to improve on the bronze she claimed in Tuesday’s super-G. The downhill starts at 11 a.m. and is free and open to the public. Go to the vailbeavercreek2015.com for more information.